Most customers have specific demands to acquire a unique pad printing machine dedicated to their company. 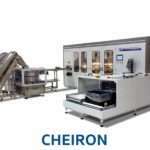 So you can customize pad printing machinery from product feeding to assembly and product evacuation. Just ask us, we can deliver. 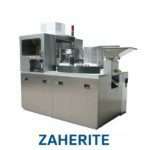 Feeding systems include product feeding by bowls, centrifugal feeders, conveying systems and robot feeding systems. Either manual or automatic input is possible. The product is put onto the product fixture or jig that will transport the product through the machine from process station to process station. Choose to transport the product individually or grouped. Product orientation and positioning may be realized in the pre-feeding line, in the feeding line, in between feeding line and printing station(s) or last minute or further second product orientation/positioning. High-speed assembly is configured using single product (1-up) assembly or parallel (x-up) assembly of multiple products within the machine cycle. According to the used materials in your product, pre-treatment may be necessary to assure the highest quality print. This is possible by flame, corona or plasma. Print your product with a 1 or 2 color pad printing machine. Print your product with the 4 color pad printing machine to show more vibrant images. To avoid smudging the print and to obtain a long-lasting print drying options are available: UV, hot/cold air or infrared. Inspect the quality of the print and the positioning of the print on the product. Take sample batches whenever you want and choose a selective output to minimize the loss of good products. 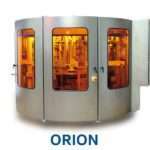 Extensive reports on the production runs and machine performance are available. On-demand cloud based solutions are also possible. Testing the products from being fed till (selective) evacuation is possible, even if more than one product is run during each cycle. The results of the different process steps can be logged to have 100% traceability. 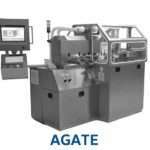 Customize pad printing machinery for your security. Store you data or products safely and enhance safety for your employees. Remotely operate or access your machines to gain 24/7 control. Thanks to the user-friendly operating system, instant action is only a click away.